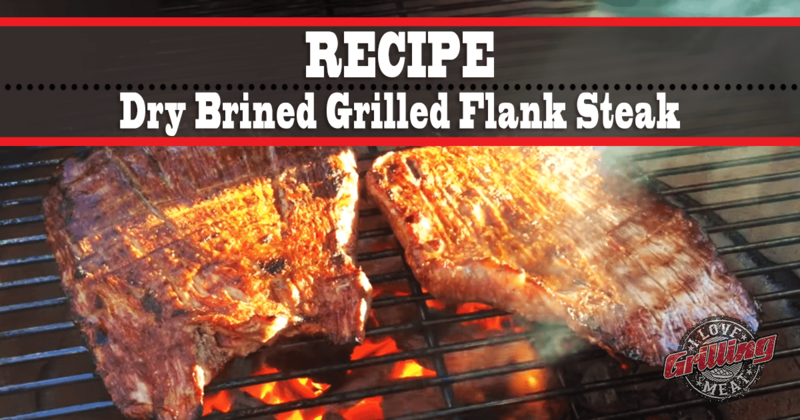 The first part of this flank steak recipe is dry brining. This technique (also known as pre-salting) consists of rubbing Kosher salt into the meat and letting it rest for 90 minutes prior to grilling. This allows the meat to retain its moisture during cooking, and results in a flavorful, juicy end product. Kosher salt is perfect for this, as it dissolved easier than regular salt. Sprinkle the steaks with salt, then place them in the refrigerator for 90 minutes before grilling. Time to get the grill hot! Once the temp is as high as it gets, throw the steak on the grill. To get a full medium rare bumper to bumper and not a just a thin streak going down the middle, you need to constantly flip the steaks so that they don’t cook to much on one side. At some point towards the end of the cook, glaze with Teriyaki sauce. The steak is ready when internal temperature hits 130°F. Carryover temperature will cook it a bit more.